Local beauty brand, Glameselle Beauty recently launched their first product line of eleven liquid matte lipsticks and local designers and models are loving the brand. Back in November, the beauty brand did a soft launch with a fashion show collaborating with Michigan jewelry maker Joyce Czarniowski of Petoskey Bling and Michigan designer Cheryl Zemke of C. Creations. 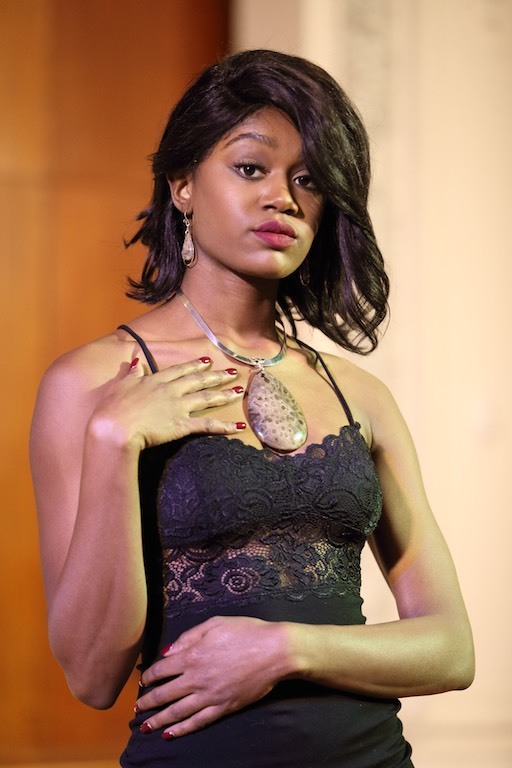 A portion of the show was dedicated to Petoskey Bling jewelry and little black dresses, perfect for upcoming holiday parties and New Year’s Eve celebrations. The models wore Glameselle’s liquid matte lipstick in the perfect NYE red called “Adrianna”. Whether you’re going to a local soirée or a fancy holiday affair, this red shade is the perfect shade and has proven to last 10-12 hours. A little black dress and red lipstick is the perfect pair for the holidays and “Adrianna” is a long wearing shade great for those who don’t like to reapply. More good news? You can give your Happy New Year kisses without smearing or smudging your lipstick. Glameselle promises their lipsticks are kiss proof! Isn’t that what every girl needs for NYE? For more on Petoskey Bling, please check out our recent interview with Joyce Czarniowski by clicking here. We welcome you to also view our Infinity fashion show review to see more little black dresses and Cheryl Zemke’s latest designs all paired with Glameselle’s latest liquid matte lipsticks by clicking here. Glameselle can be purchased online at glameselle.com, followed on Instagram and Twitter @glameselle and can be followed on Facebook. Be sure to get your “Adrianna” today to make your holiday look complete.